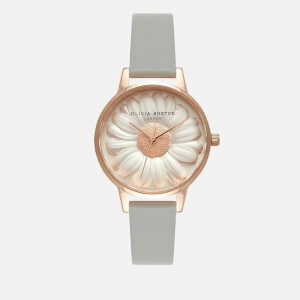 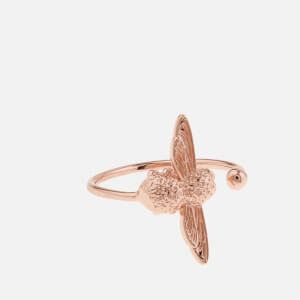 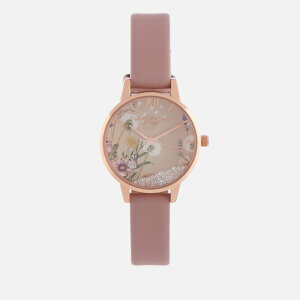 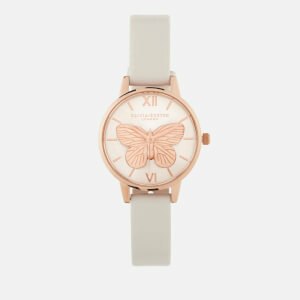 Women’s ‘Lace Detail’ watch from British accessories brand Olivia Burton. 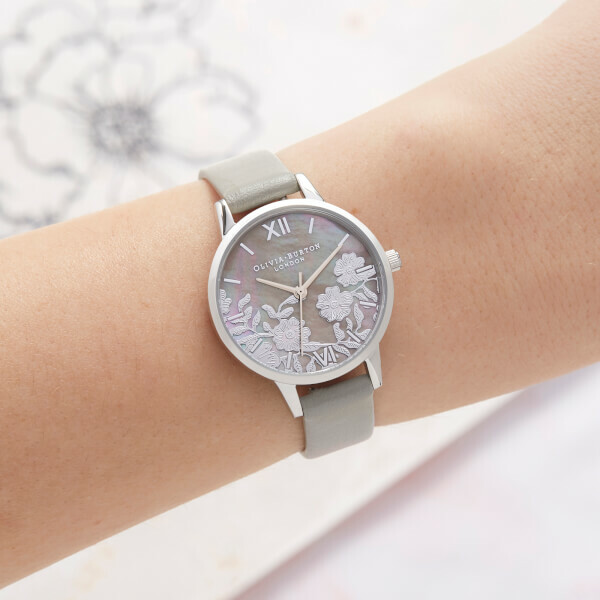 Secured to the wrist with a soft leather buckled strap, the timepiece comprises a pearlescent dial intricately embellished with floral lace detail. 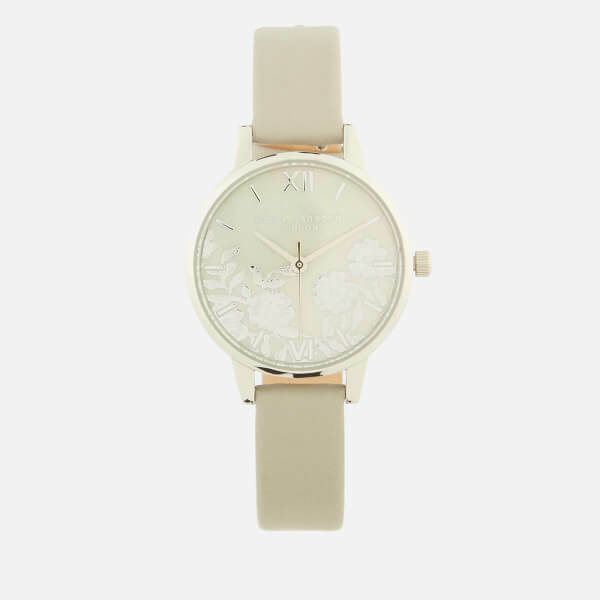 Encased in a polished stainless steel case with matching Roman numeral and baton markers. 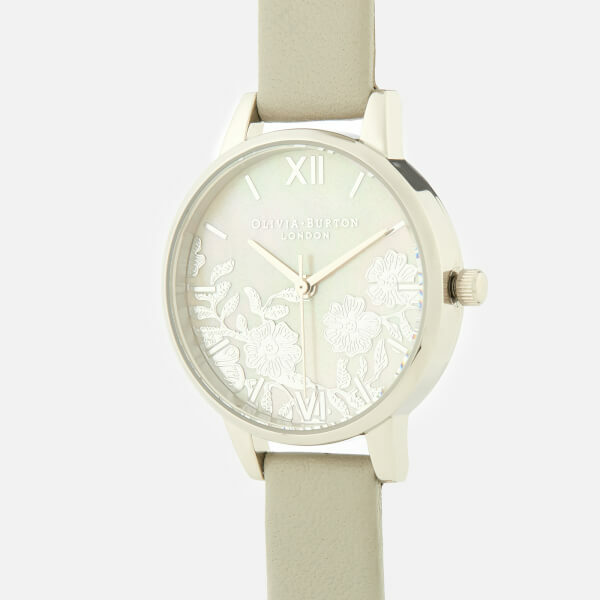 Complete with Olivia Burton branding to the watch face, back of the case and strap’s underside.